I, like many of you, am excited about Castlevania Requiem: Symphony of the Night & Rondo of Blood, which was announced earlier today for the PlayStation 4, and is releasing alongside Castlevania season 2 on Netflix, on October 26, 2018. As excited as I am, I was curious as to why this is a PlayStation 4 exclusive. It’s not a problem, just strange! 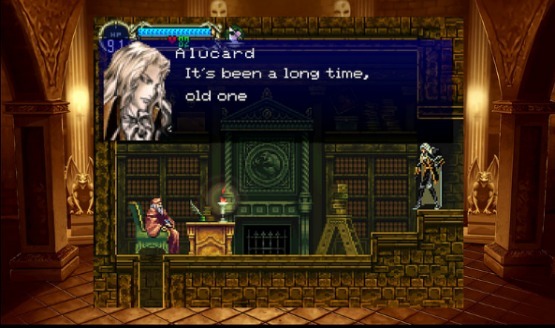 Castlevania: Symphony of the Night is already a multiplatform game, as is Rondo of Blood to a lesser extent. Turns out, the answer seems to be alluded to in Konami’s official press release. We received said press release a few hours after we originally covered the announcement, based on an earlier PlayStation Blog post. While the blog post mentions the PS4 exclusivity, and says, “both games are the originals emulated for the PlayStation 4, with several updates that take advantage of the new hardware,” there’s a much more interesting nugget within Konami’s release. Fans of the game will relive the timeless classics like never before thanks to KONAMI’s partnership with SIE Worldwide Studios to create these high-quality ports. While there are a whole lot of things this sentence doesn’t say, it’s easy to presume (as Gematsu did on Twitter) that this deliberate mention of SIE Worldwide Studios suggests Sony is in some fashion contributing to the actual porting/emulation being done here. What isn’t clear of course is the extent of that work, if any, and what Konami’s part in it is. Either way, while there’s no reason to believe these games won’t ever be ported to platforms like the PC or the Nintendo Switch (Symphony remains playable on Xbox One via 360 backwards compatibility), this very well could mean the Castlevania Requiem brand/title is Sony exclusive for a very good reason.